Here's Betterbetterbetter having a frolic at Timber Town. RIP, gorgeous Alaura Michele. Condolences to all who loved her. Participating in the thoroughbred horse industry is a special privilege for all of us at Siena Farm. Interacting daily with these special creatures is truly an amazing life. But as living animals, sometimes the end comes much sooner than anyone expects. 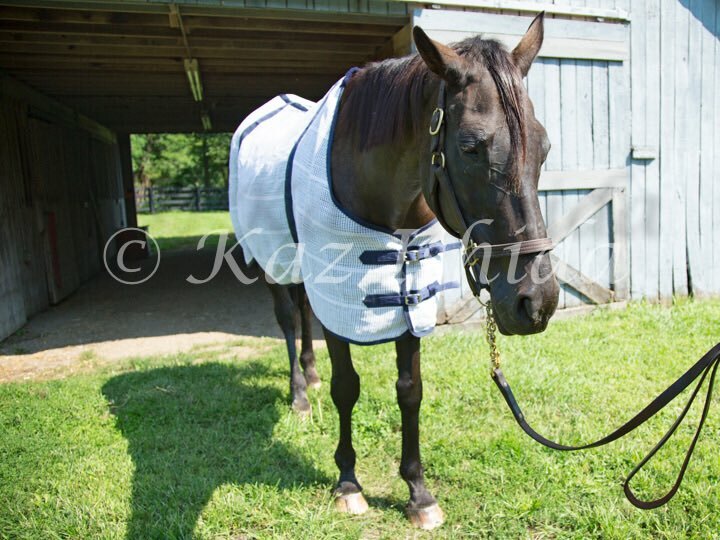 On April 2nd, our broodmare Alaura Michele lost her lengthy battle with colic. The Siena Farm family is devastated by this loss. 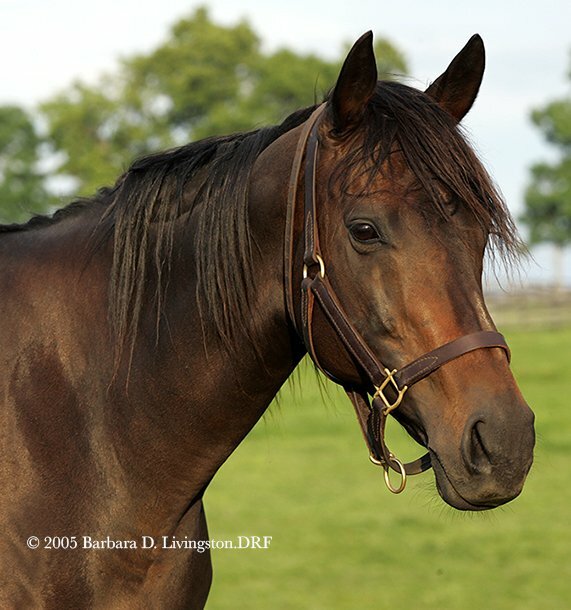 Alaura Michele (2009 m, by Arch--Isobel Baillie (GB)) was the first horse foaled on Siena Farm on January 23, 2009, and went on to become a multiple stakes winner at Saratoga, winning the P.G. Johnson S. as a two-year old and the Nani Rose S. as a three-year old. via @nabecci, photos of Tapitsfly & her 2016 filly by Deep Impact, Gran Alegria. Gran Alegria just won the G1 Oka Sho in record time. Randy got a few quick shots of La Flamme (Giant's Causeway) yesterday. Her Bal a Bali baby belly (say that 4 times fast) is getting bigger. She is due in April. ~ This was posted in January. 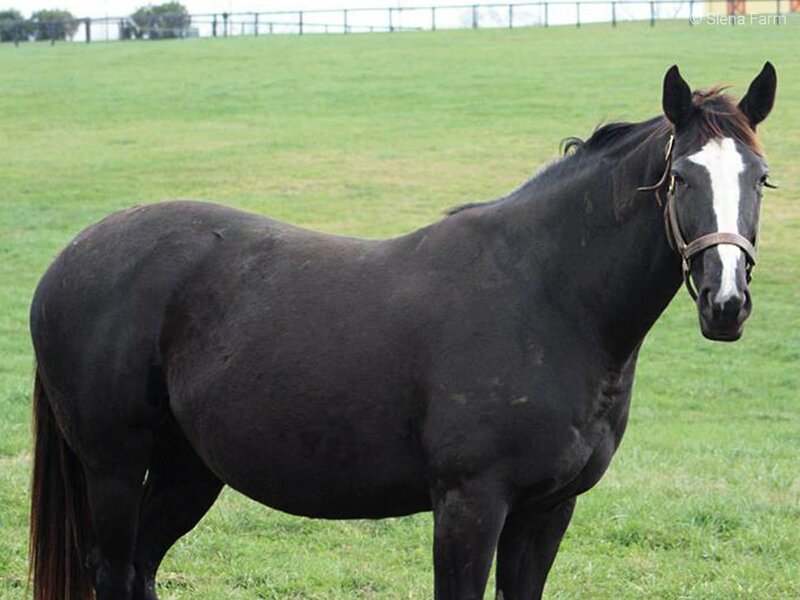 Sharing here because I like the phrase "Bal a Bali baby belly", and also because La Flamme is out of a half-sister to Ghostzapper, City Zip, and City Wolf. Thanks, tachyon. Hope she's treasured and a great producer there. I'll always love this gal. Groupie Doll, who is quite pregnant, likes to make the foaling barn grooms work for their pay. She took a nice roll in the mud and then decided that, 11 months pregnant or not, she needed a little sprint to the waterer. On a side note- it's important for heavily pregnant mares to be able to stretch their legs and graze whenever possible. It helps with stocking up (when the legs swell while stalled) and edema that can build under the belly. It keeps the grooms busy with checking the mares who are outside during the day and of course means more grooming, but in most cases it's what's good for the horse, and that's what we're here for. Hishi Amazon(USA) died of old age at 28 on April 15th. Glad she had a long, grand life. She deserved it. Thanks Barbara Livingston for the wonderful photo!! Hishi Amazon had a huge fan club, no doubt - she was really something and such a powerhouse. But had the internet been widely used back when she was racing, I can only imagine how many fans she'd have had. Yes, I swear that she had a huge fan following, too!